The 10-inch submersible pump is suitable for a 250-mm bore diameter, and the 10-inch submersible pump series is available in different models, each with a different price. If you need it, please contact us at sales@apksubmersiblepumps.com. 10-inch submersible pump casting process is cast using an EPC mold. Lost foam is the use of foam to produce cast part structures that are exactly the same size as solid molds. The advantages of lost foam are its good casting quality, high precision, and compact software organization, which is suitable for the same large-scale production and mass production. 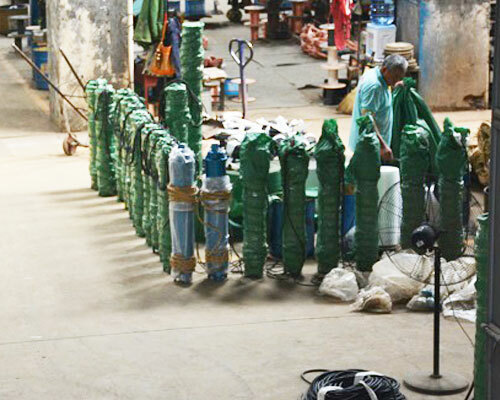 10-inch submersible pump is rigorously tested before it leaves the factory to test whether the 10-inch submersible pump meets the customer’s desired head and rated flow. Unqualified pumps will return to the foundry and our engineers will return to the technical workshop for failed parts until the 10-inch submersible pump is delivered. APK is a submersible pump that has its own factory. It has its own production from raw materials to finished products. Therefore, it has certain advantages in terms of price compared with other factories. The 10-inch submersible pump is very inexpensive and cost-effective. 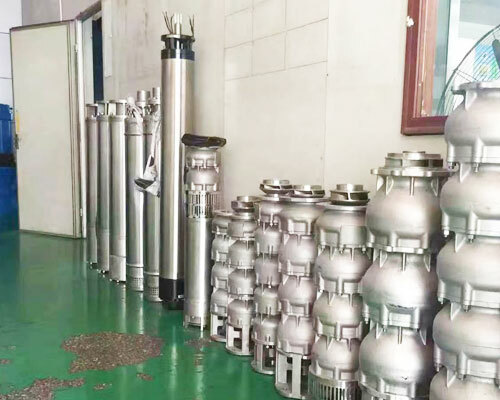 The 10-inch submersible pumps can be divided into cast iron submersible pumps and stainless steel submersible pumps according to the material. There are also different prices in terms of price. The difference between cast iron and stainless steel is that the stainless steel is resistant to corrosion and can pump corrosive media. 6. The vacuum is formed at the inlet of the inlet and the pump is started again. 7. The first stage impeller of the pump should be at least below the dynamic level 2, the motor pump group should not be more than 70 below the level of the static water level, and the bottom of the motor should not be less than 3m from the bottom of the well.